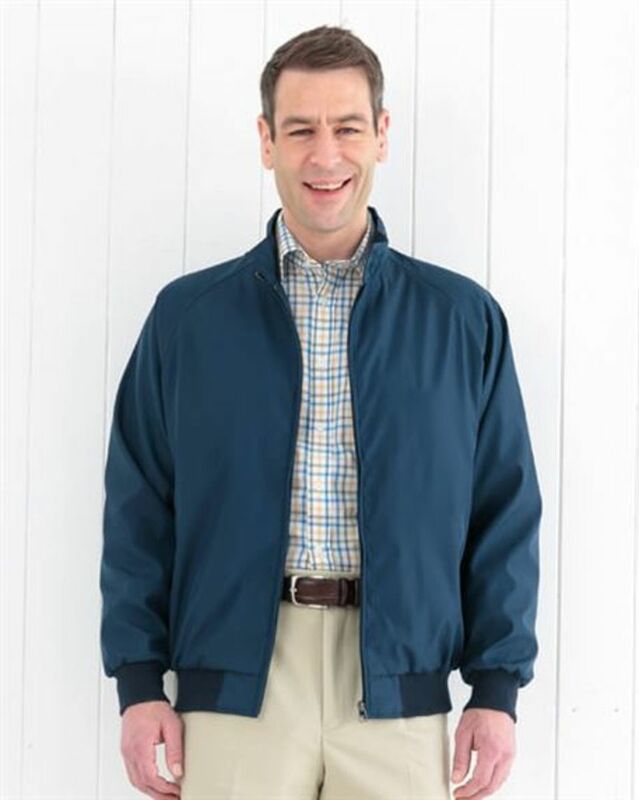 Mens Shower Resistant Blouson Jacket. Attractive co-ordinated lining. Mens zip front style jacket with side zip pockets. Attractive co-ordinated lining. Elasticated cuff and hem welts. Offering protection from light rain showers.